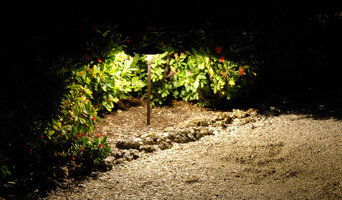 Outdoor Lighting Perspectives of Naples is Southwest Florida's light sculpting specialists. As the world’s largest full-service outdoor lighting company, we do one thing — outdoor lighting — with a passion for perfection. You’ll see the difference in our premium quality materials, our attention to detail and consistently responsive customer service. But the biggest difference is our professional lighting design, which adds the “wow” to the watts and gives your system its stunning aesthetic appeal. With more than 100,000 installations completed, we know what it takes to do outdoor lighting right. No other company has more experience than Outdoor Lighting Perspectives. So when we design, install and maintain your system, you can be confident you’ll love the result. What services do Lely Resort outdoor audio and visual system professionals provide? For the most part, people hire outdoor entertainment system providers for backyard installations. After all, pool parties and barbecues are much more fun when there is music to enjoy. How do they do it? Your Florida outdoor custom audio system technician can work with your landscape designer or architect to install weather-resistant outdoor speakers, discreetly buried into your landscaping with no loss of sound. Here are some related professionals and vendors to complement the work of outdoor lighting & audio/visual systems: Landscape Architects & Landscape Designers, Landscape Contractors, Decks, Patios & Outdoor Enclosures, Siding & Exteriors. Home theaters are moving outdoors, too. Sports fans can grill without missing the game, and families can invite neighborhood friends over for movie nights. Special weatherized flat-screen TVs are coated to minimize glare. Imagine your Lely Resort, FL backyard with a custom-designed outdoor theater system — complete with a large projection screen. It makes backyard entertaining easy. Find outdoor audio and visual system professionals on Houzz. 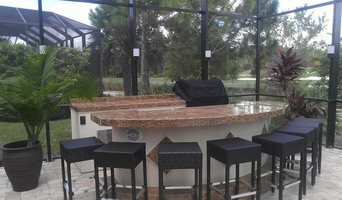 Look in Houzz’s Professionals section to find Lely Resort, FL outdoor audio and visual system experts. Narrow your search to the nearest city or metro area for a list of nearby businesses. Get contact information, read reviews and look at completed Florida custom outdoor sound system projects.